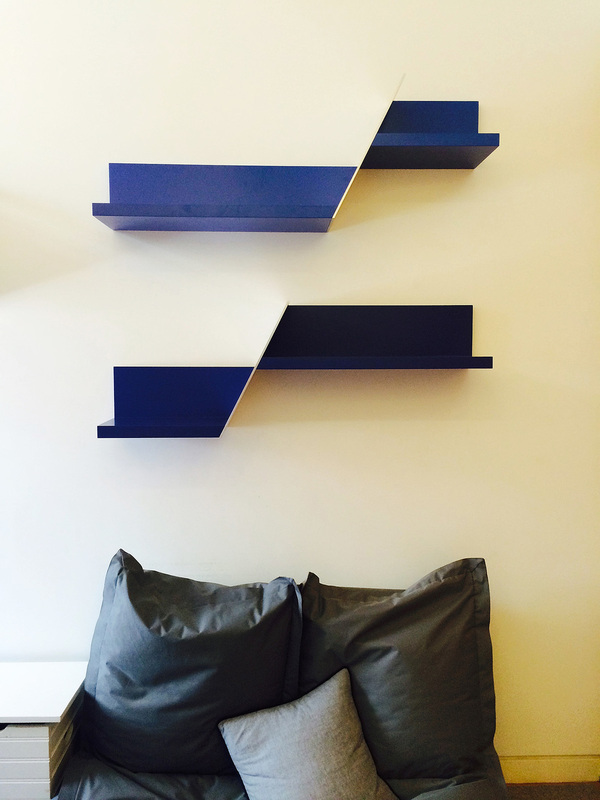 weetu has continued to develop custom furniture pieces for their Tribeca client, the newest being shelving for an adolescent boys bedroom. The shelving units were thought of as two elements, with a shift caused by an aluminum blade. The shift allows for a variety of display surfaces at different heights. Blade Shelves were constructed in wood, finished with auto paint and split by an aluminum blade.